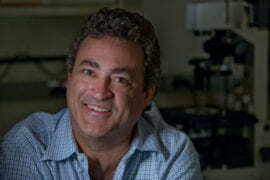 Daniele Piomelli, the Louise Turner Arnold Chair in the Neurosciences at UCI, led the study. Photo courtesy of Amandine Nabarra Piomelli. Irvine, Calif., Oct. 26, 2015 — The hormone oxytocin, which has been associated with interpersonal bonding, may enhance the pleasure of social interactions by stimulating production of marijuana-like neurotransmitters in the brain, according to a University of California, Irvine study. The research provides the first link between oxytocin – dubbed the “love hormone” – and anandamide, which has been called the “bliss molecule” for its role in activating cannabinoid receptors in brain cells to heighten motivation and happiness. Results appear the week of Oct. 26 in the early online edition of Proceedings of the National Academy of Sciences. 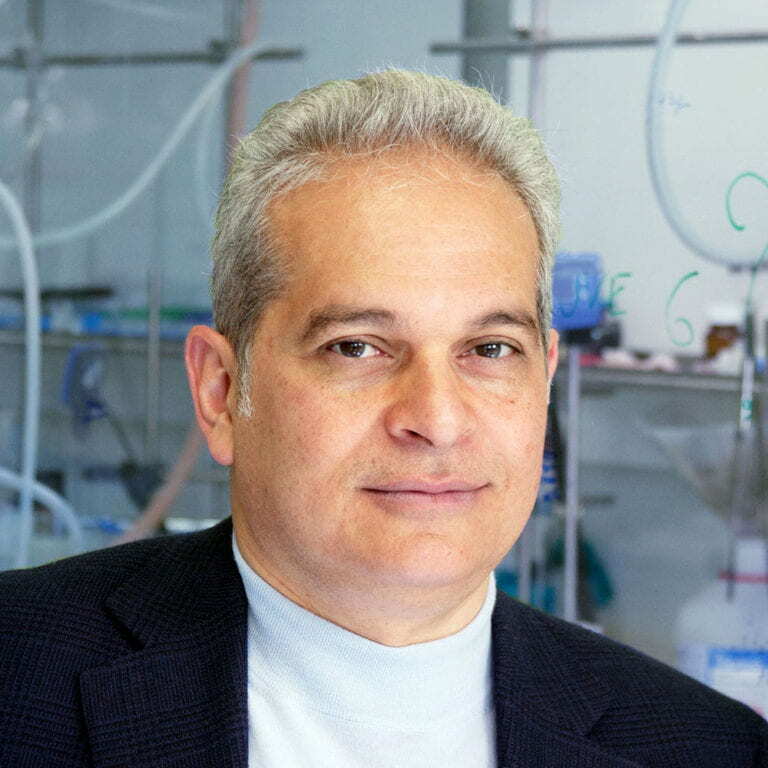 To investigate the role of anandamide in social contact, UCI’s Daniele Piomelli – the Louise Turner Arnold Chair in the Neurosciences and founding director of the drug discovery & development department at the Italian Institute of Technology in Genoa, Italy – and his colleagues measured levels of this marijuana-like neurotransmitter in mice that had been either isolated or allowed to interact. Anandamide is among a class of naturally occurring chemicals in the body known as endocannabinoids that attach to the same brain cell receptors as does marijuana’s active ingredient, THC, with similar outcomes. The researchers discovered that social contact increased production of anandamide in a brain structure called the nucleus accumbens, which triggered cannabinoid receptors there to reinforce the pleasure of socialization. When cannabinoid receptors were blocked, this reinforcement disappeared. Piomelli’s team then looked for a possible connection between anandamide and oxytocin, which is well known for its role in promoting social contact. A small number of neurons in the brain make oxytocin and use it as a neurotransmitter. When the scientists stimulated those neurons, they saw an increase in anandamide creation in the nucleus accumbens. More importantly, they found that blocking anandamide’s effects also blocked the pro-social effects of oxytocin, which implies that oxytocin reinforces social ties by inducing anandamide formation. Adding medical interest to this discovery, the researchers showed that interrupting anandamide degradation enhanced the pleasure of social contact. Animals treated with a drug that stops anandamide degradation behaved as though they enjoyed spending time with their cage mates more than animals treated with a placebo, Piomelli noted. Oxytocin has also been called the hug hormone, cuddle chemical and moral molecule due to its effects on behavior, including its role in love and female reproductive functions. A 2011 study by Dutch scientists revealed that oxytocin makes people feel more extroverted, and clinical researchers are investigating it as a possible treatment for the symptoms of autism. But it’s very hard to deliver oxytocin, a small protein, to the human brain. “Our findings open the exciting possibility that drugs that block the degradation of anandamide, which are currently being tested for various anxiety disorders, could give a boost to the brain’s own oxytocin and help people with autism socialize more,” Piomelli said. Christine Gall, Don Wei, DaYeon Lee, Conor Cox and Carley Karsten of UCI; Dr. Daniel Geschwind of UCLA; and Olga Peñagarikano of the University of the Basque Country in Spain contributed to the research, which was supported by the National Institutes of Health (grant DA012413), the UCI Medical Scientist Training Program and the UCI Center for Autism Research & Translation.